Hardwearing safety boot includes a digging plate to protect the digger from uncomfortable pain when pressure is applied to a top of a spade blade. 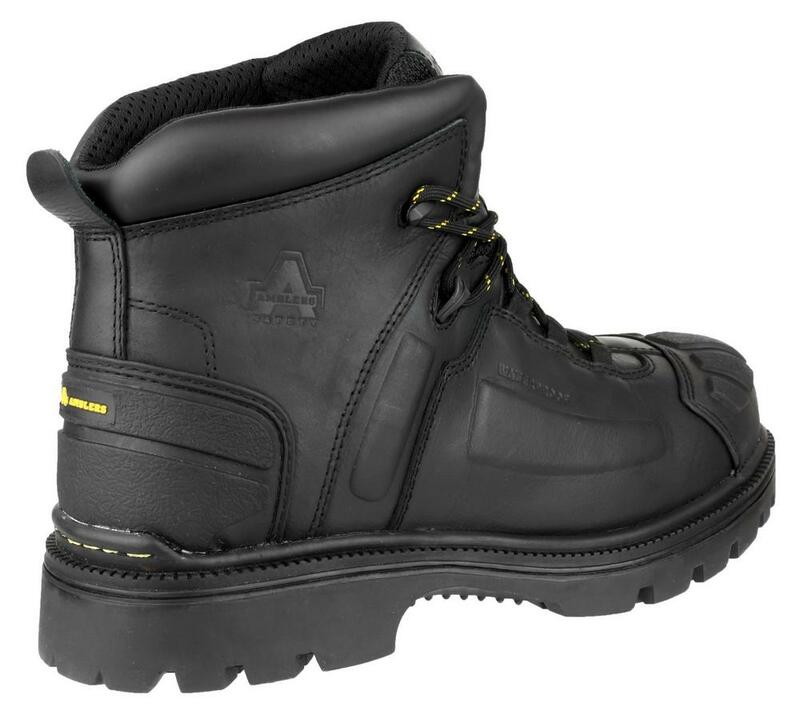 Flexible and lightweight boots is ideal for any metal-free work environment. Water resistant leather upper with breathable waterproof membrane. Moisture wicking mesh lining, padded collar and tongue for more comfortable, firm fit and speed lace-up system. 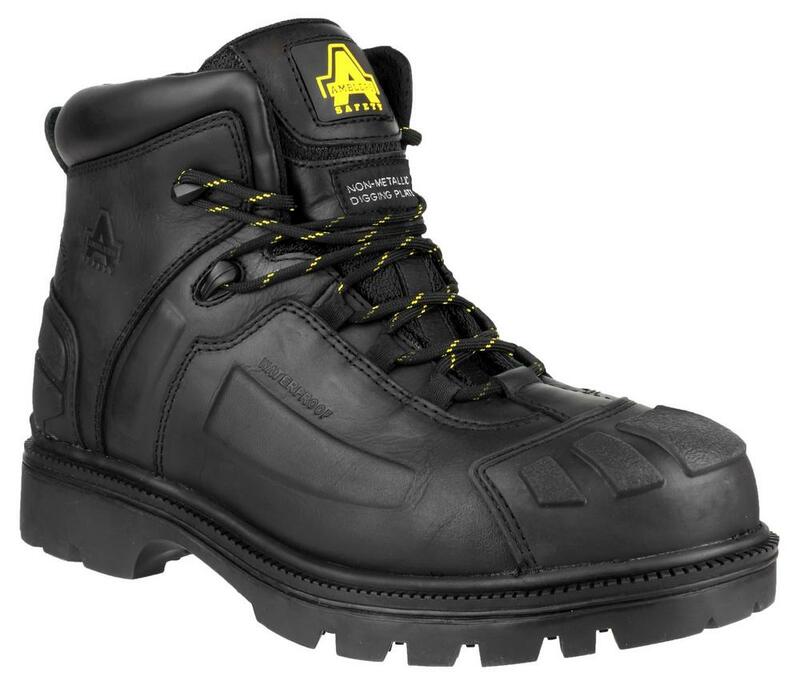 Rubber bump cap toe and heel reinforcement for extra protection, safety boot with a composite toe cap protection tested to 200 joules impact and Penetration resistant composite midsole plate. 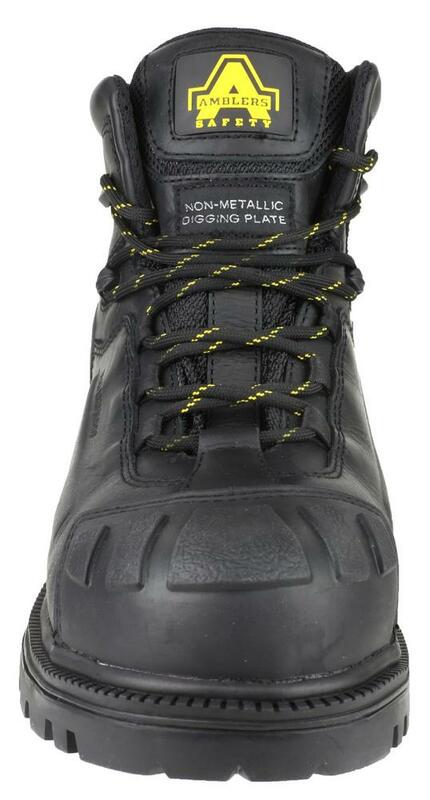 Non-metallic digging plate protection within the sole and Energy absorbing heel. 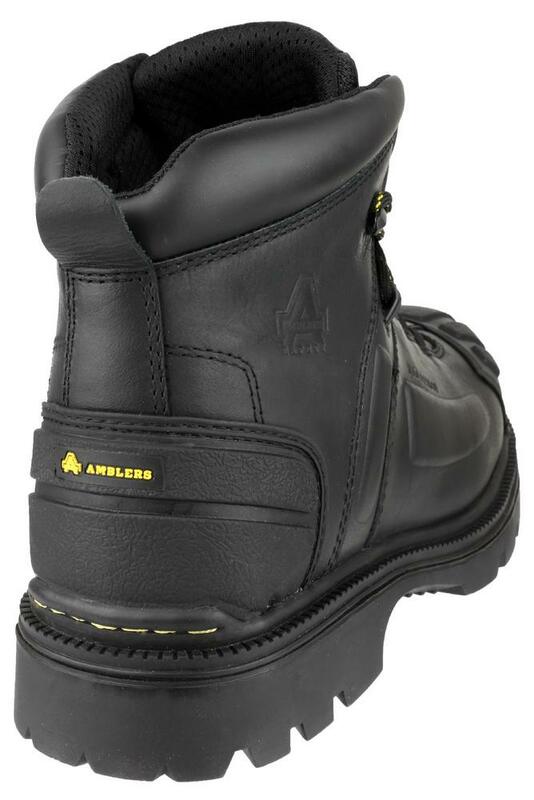 Amblers FS996 safety boot rubber outsole is resistant to 300°c heat contact, oil, low concentration acids/alkalis and solvent.